Bench-top, to demonstrate simple structure in civil engineering . Pin-jointed structure frame loaded at its apex by dead weight. 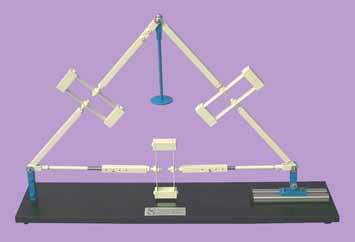 Leaf-spring balances. Adjustable tie. Digital calliper. Weight hanger, weights set.